My girls love drawing and ‘making’, I think S spends most of her day at school junk modelling. Sometimes she’s already started painting before I leave the classroom. 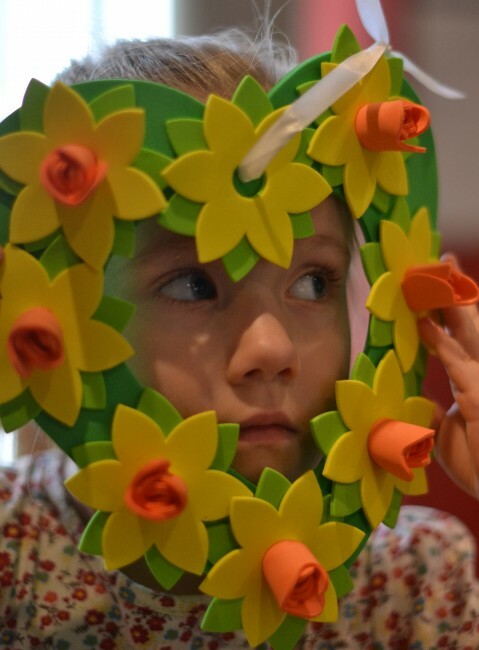 Needless to say we get through a lot of of craft materials, so they were both super happy to receive a lovely box of Easter Crafts from Yellow Moon a couple of weeks ago. These came in a pack of 12 , so plenty for everyone to have a go. They were easy enough for little H who is 3 and still fun enough for Z, who is 7. 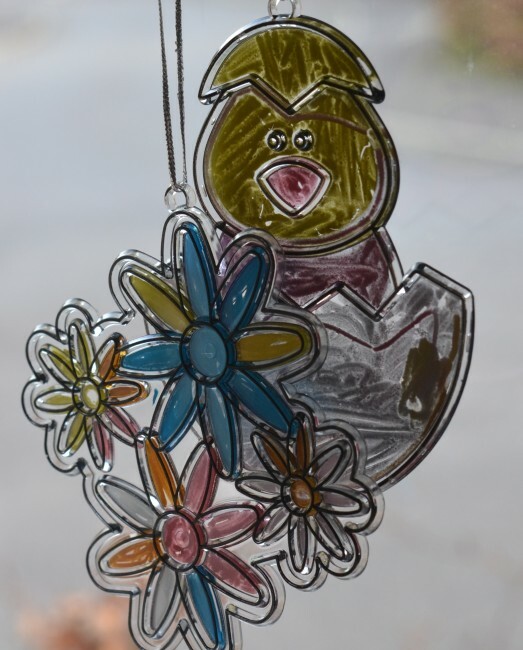 These were great fun too, ours look a bit dull, but it you had brighter colour pens, they would look fantastic and at £2.99 for 6 they are great value. 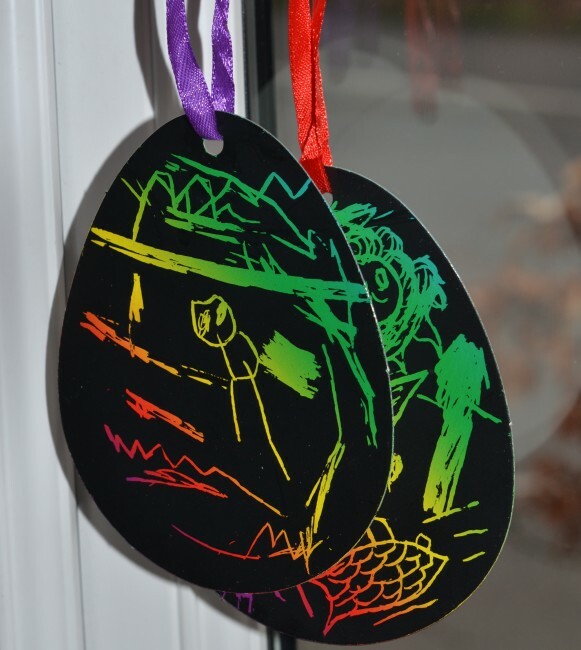 The Easter Felt Stickers were a lovely finishing touch to H’s decorated egg for the competition at school. 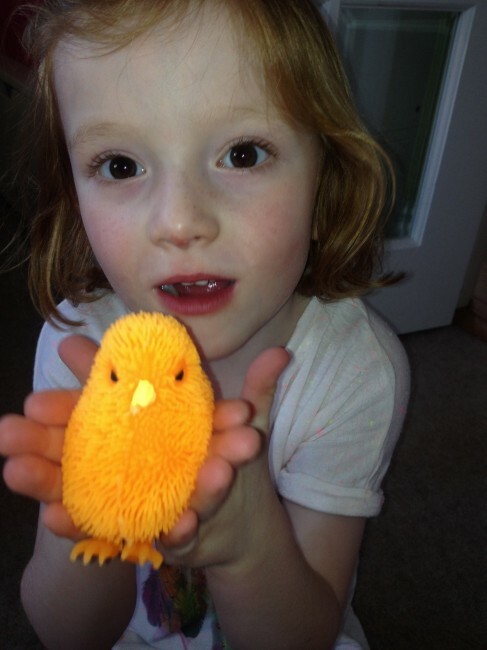 The girls were especially happy to find some light up chicks and immediately set about making them a home. My favourite things from Yellow Moon are the craft items that you can use to freely create whatever you want, but I do also like a good craft kit. What do you think of our Springtime Daffodil Wreath? 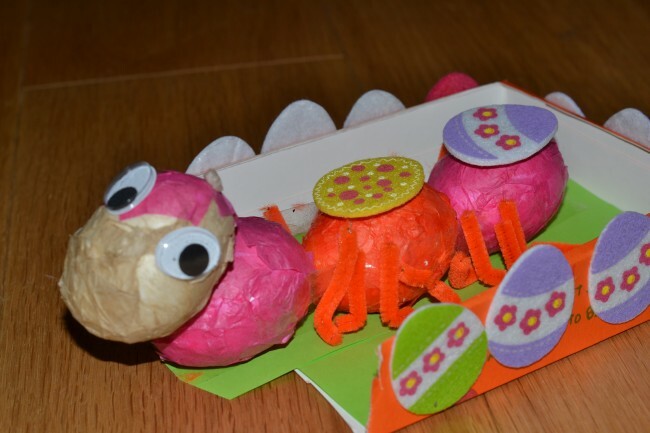 What have you been making this Easter? Thanks very much to Yellow Moon for the lovely craft items.